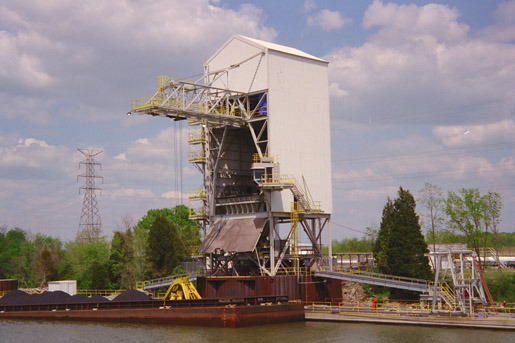 Heyl & Patterson pioneered the design for the Continuous Barge Unloader, which has been a staple solution for handling bulk materials on waterways. These machines have solved a variety of unloading problems for many customers demanding reliable, safe and versatile systems. 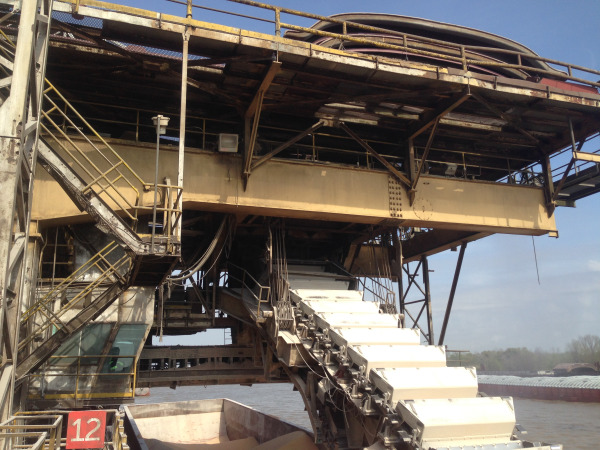 Diverse cargos such as coal, iron ore, bauxite, alumina, corn, wheat, soybean, agricultural by-products, wood chips and limestone have been successfully offloaded by Heyl & Patterson. 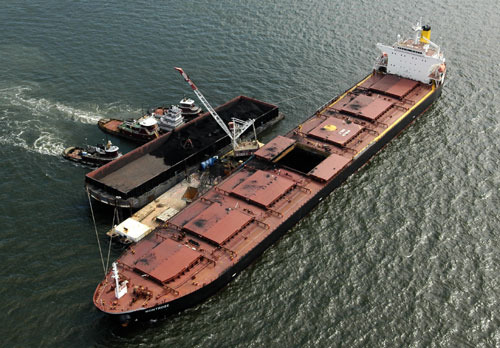 Each year, nearly half a million barge-loads of bulk material such as coal, grain, wood chips, crushed stone, sand and minerals travel to delivery points along our nation’s inland waterways. River transportation is the safest and most efficient method for moving massive quantities of materials. 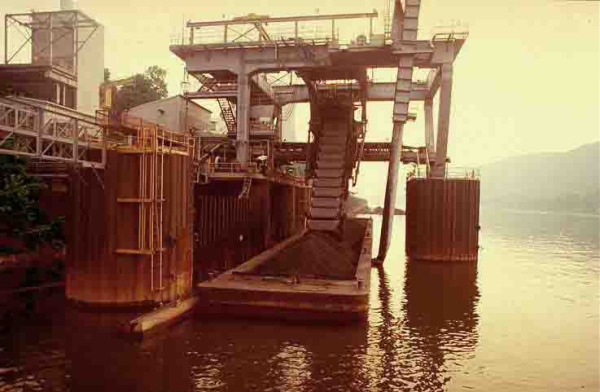 Ports and other points along the rivers utilize various types of unloading systems to quickly and economically offload the barge traffic that comes their way. Indonesia is one of the largest coal producers and coal consumers in the world. Over the past two decades, Indonesia's coal industry has transformed itself from being an unknown, minor player in Asia's coal markets to the world's largest exporter of steam coal. Indonesia created this world-scale industry despite challenges created by widespread government corruption, a weak legal system, the Asian Financial Crisis of 1997 and the fall of the Suharto government in 1998. 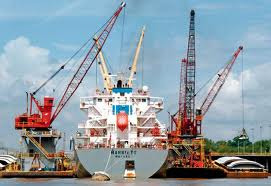 The busiest cargo port in the western hemisphere is the Port of South Louisiana. It extends 54 miles along the Mississippi River between New Orleans and Baton Rouge. About 6000 vessels pass through on an annual basis, and it accounts for 60% of all raw grain exports from the American Midwest. 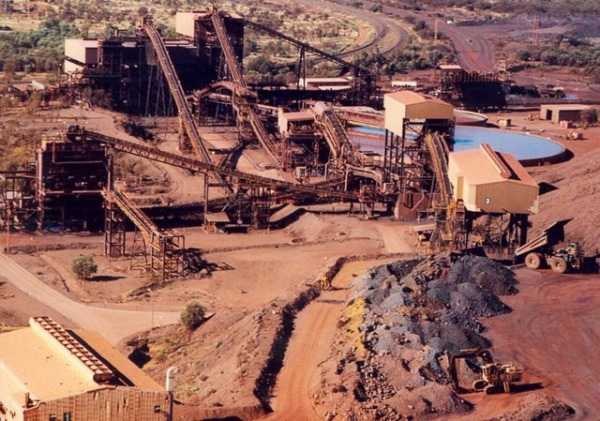 Grain and other commodities such as coal, ore, wood chips, sand, feed and salt are classified as bulk cargo. As the name implies, bulk cargo is transported unpackaged in large quantities, and is often transferred from ship to shore by some form of bucket unloader. The idea of cross-country route across Central America was conceived by the Spanish, abandoned by the Scottish, initiated by the French and completed by Americans. 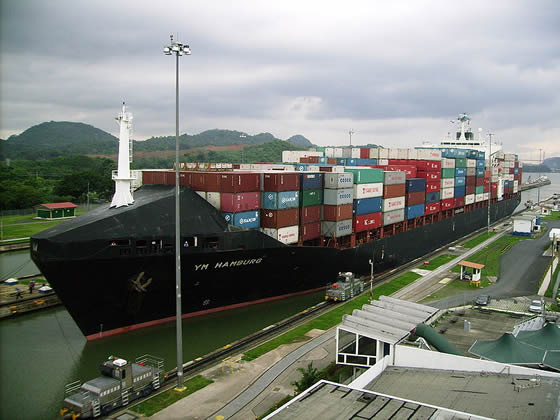 A century after the Panama Canal transformed global trade, a new “dry canal” could someday link Colombia’s Atlantic and Pacific coasts as an alternative to the Panama Canal. And it would be run by China.